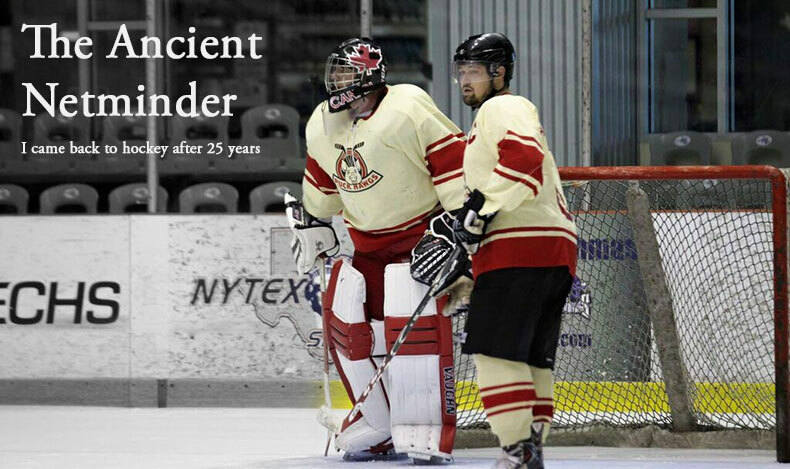 I am now consumed by thoughts of re-living my past hockey glories and getting back to playing. Never mind that my youth hockey career was filled with nicknames like, "Leaky" and "Red-Light", I am excited. Night and day all I can think about is getting back between the pipes. Perhaps no longer held back by my younger, smaller, pudgier self I will burst onto the local adult hockey scene as a stupendous stopper! My wonderful partner suggests that laying out $2,500 on brand-new senior goalie equipment might not be the best decision at this early stage of my comeback. While I voice my agreement with this very reasonable conclusion, I harbor a secret feeling of outrage that she doesn't see my very recent explosive interest in returning to the world of hockey resulting in a wildly successful and legendary career in my late 40s. What is she thinking? I start scouring Craig's List for goalie gear with a meager budget of $500. With a stroke of luck- for me, not the poor unemployed SOB who's unloading his gear- I find an almost complete set of gear for just $400! As I inspect the booty, I note the leg pads are a little "worn". That's a bit like saying George Lucas is a little bit rich. 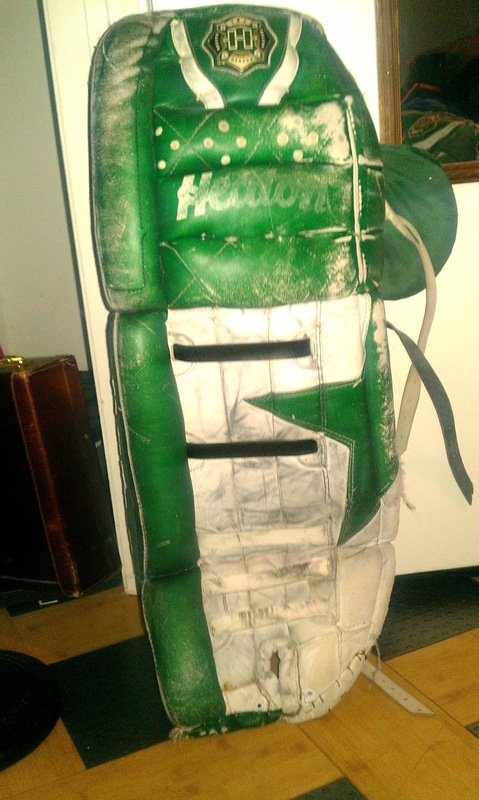 The seller spins a wonderful tale that these pads are none other than those worn by former Dallas Stars net minder, Manny Fernandez! While they do sport the Stars colors under the wear and tear, I can find no photos on the web of Manny wearing them. No matter, it sounds good and besides, where else am I going to find an almost complete set of gear in my size (just a bit north of 6'2", 260lbs) in my budget? SOLD! I spend the next few days repairing old tears, adjust straps and trying the gear on in my bedroom. I am counting down to my triumphant return! Manny, contact me if you want them back.